If you want to become a court reporter, you will need to obtain some college-level education. You have two options – either enroll in a certificate program OR an associate’s degree in court reporting. After that, you may need to get licensed or certified and eventually get on-the-job training. If you are interested in becoming a court reporter, follow these steps and maximize your chances of entering this field. This program may be offered in a traditional setting or online. The time and cost it will take to complete this certificate program will depend upon your institution. However, be mindful of the fact that your program needs to be certified by the National Court Reporters Association (NCRA), otherwise the certificate may not have much value. The ultimate learning objective of this certificate program is to prepare you to pass the licensing exams and typing speed tests required by your employer and state. Graduation requirements will vary but all NCRA certified institutions require their students to meet all NCRA requirements prior to graduation. An Associate of Applied Science (A.A.S.) in Court Reporting degree is a 2-year program offered at various community colleges. You will typically need a high school diploma or GED to enroll in this program. Like the certificate program, this degree program may be offered both traditionally and online. The biggest difference between pursuing a certificate program in court reporting and A.A.S. degree in court reporting is not timing, but depth of education. Those who enter this field with an associate’s degree have a more wholesome education since A.A.S. curriculum includes general education courses too like English Composition, courses in humanities, etc. The learning objectives and graduation requirements of this degree program may be similar to those of the certificate program – to help you pass the licensing exams and typing speed tests required by your employer and state and meet all NCRA requirements prior to graduation. Once you have fulfilled all the educational requirements, the next step is to get licensed/certified, especially if you intend to work in legal settings. Licensing requirements differ by state however and if you need to get certified, you need to visit The National Court Reporters Association’s website, since it’s the NCRA which offers certifications in court reporting. Certifications are for a fixed time and in order to renew them, you will need to obtain a certain number of continuing education credits. 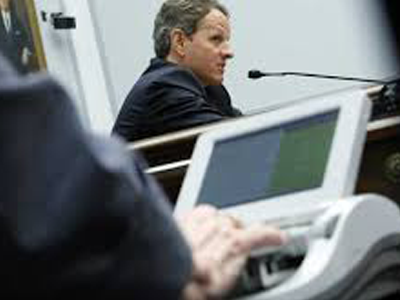 On-the-job training is another important step in becoming a court reporter. Depending upon your employer, this training period may last for a few weeks, during which you will be trained on the specific types of equipment. You will also be familiarized with more technical terminology relating to medical or legal proceedings.